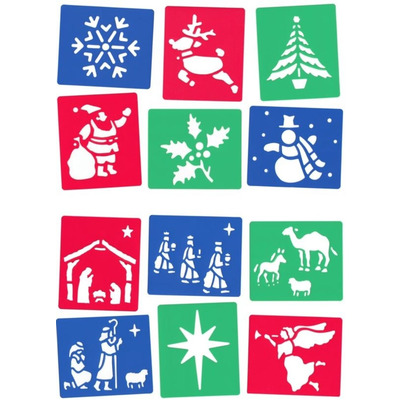 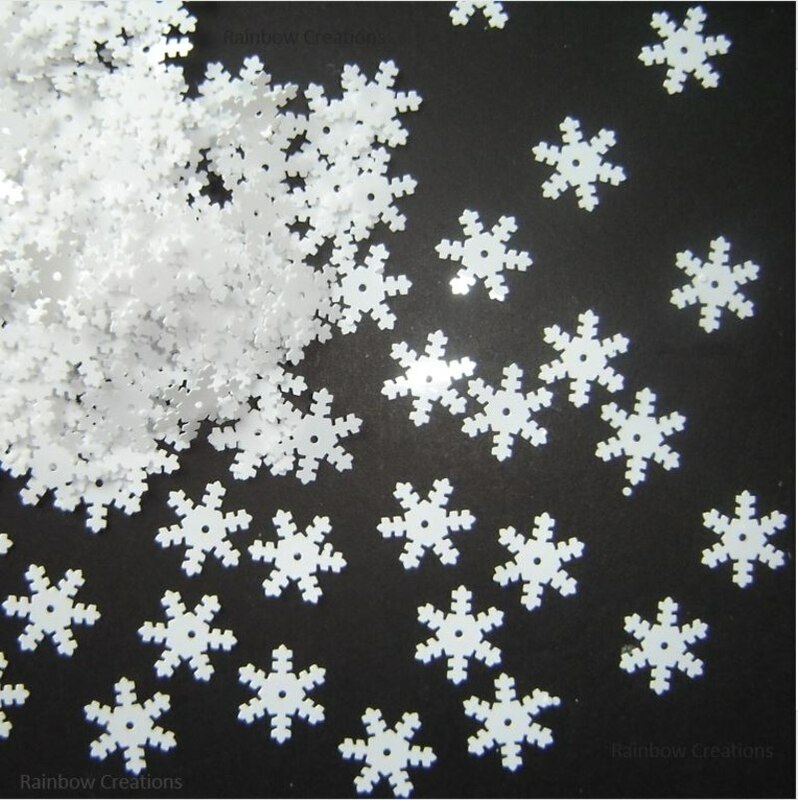 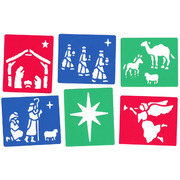 Set of children's reusable Christmas stencils for use at Christmas time. 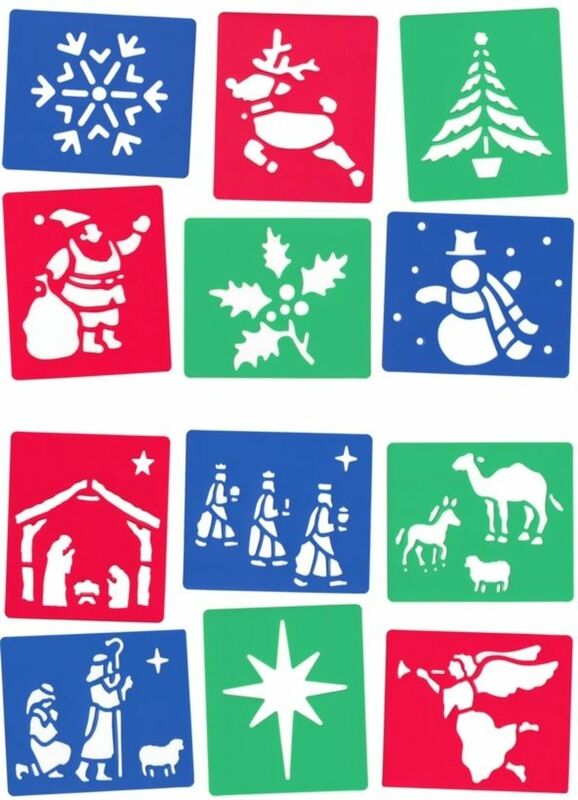 For children to draw Christmas cards and make their own Christmas decorations. 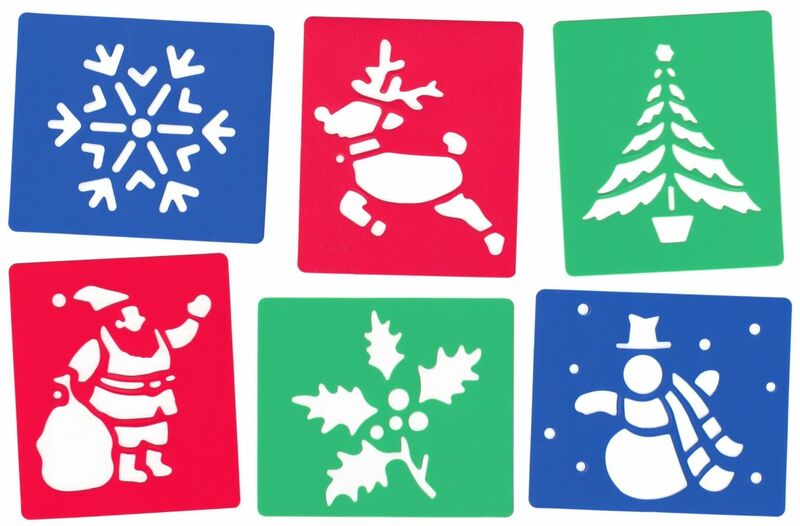 Choice of stencil designs, each in a set of six. 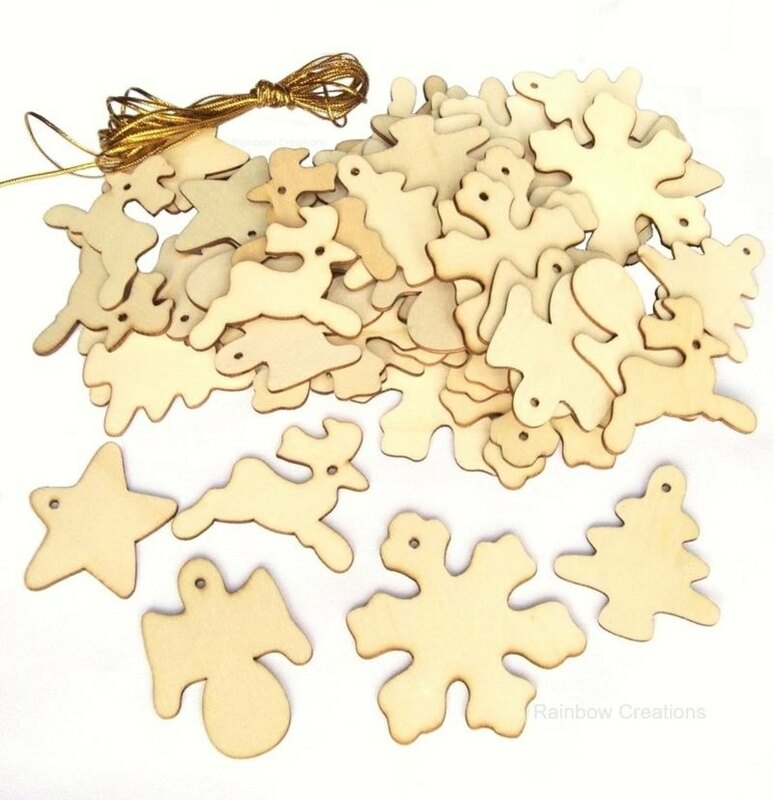 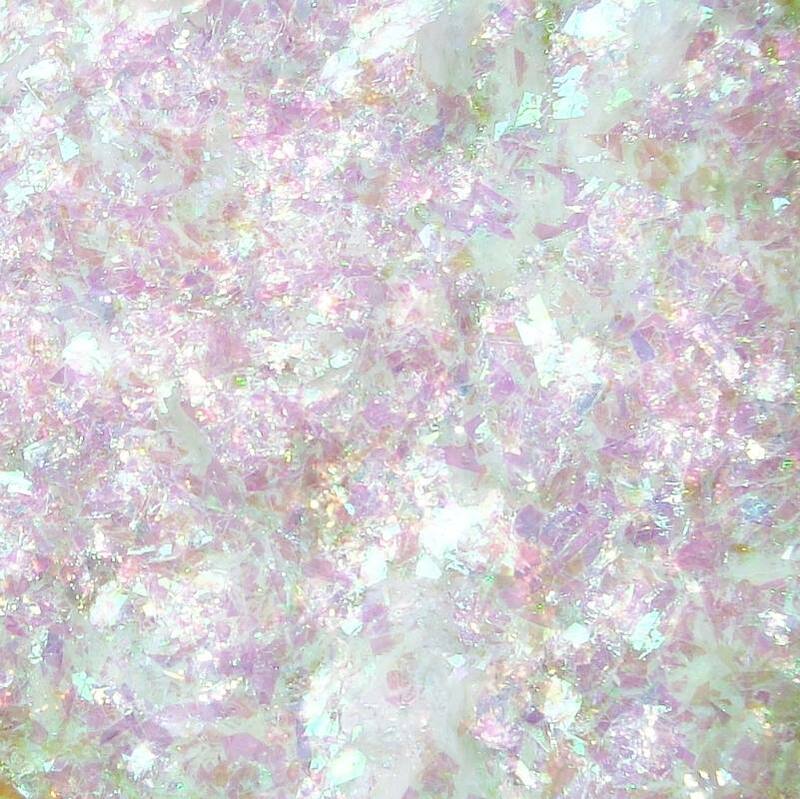 Use with paint, rollers, sponges, felt pens, crayons or glitter. 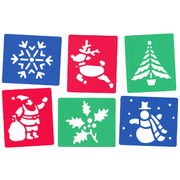 Christmas designs - snowflake, reindeer, Christmas tree, Santa, Holly leaves and snowman. 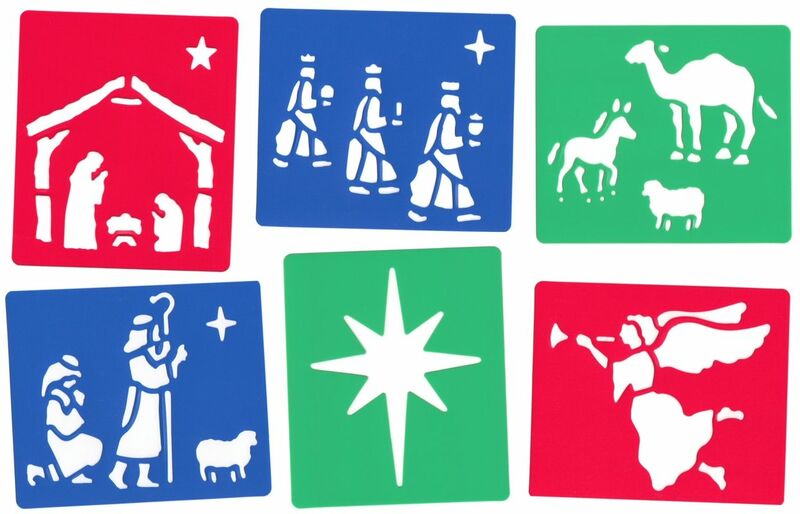 Nativity designs - Baby Jesus, angel, traveller, a shepherd, a wise man, Mary and Joseph.